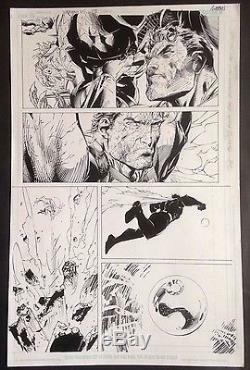 Jim Lee original art Superman! Fantastic piece with Superman battling Zod, great close ups of the two. From Superman v2 #215 p. 11" x 17" in size. 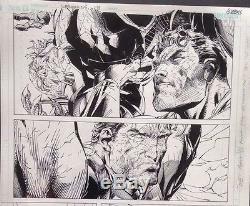 The item "Jim Lee, Superman original art (Batman, X-Men)" is in sale since Tuesday, August 16, 2016. This item is in the category "Collectibles\Comics\Original Comic Art\Other Original Comic Art". The seller is "wolverine220484" and is located in Ballymena.